Make it as simple or complicated as you wish, but do start composting- it’s good for maintaining fertile and healthy soil. Look at the plots around you – plots with compost heaps are usually the ones with good deep beds bulging over the path edges; plots without compost heaps are often those where the soil has sunk below path level. 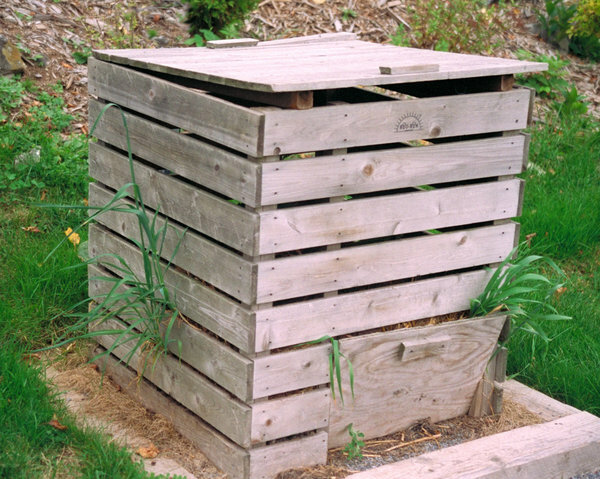 Where to put your compost bin? Certain things should never be placed in your bin. No cooked vegetables, no meat, no dairy products, no diseased plants, and definitely no dog poo or cat litter, or baby’s nappies. Putting these in your bin can encourage unwanted pests and can also create odour. Also avoid composting perennial weeds (such as bindweed or couch grass) or weeds with seed heads. The key to good compost lies in getting the mix right. You need to keep your Greens and Browns properly balanced. If your compost is too wet, add more Browns. If it’s too dry, add some Greens. Making sure there is enough air in the mixture is also important. Adding scrunched up bits of cardboard is a simple way to create air pockets that will help keep your compost healthy. Air can also be added by mixing the contents. Human pee makes a good activator on the compost heap so why not keep a bucket in your shed for when you have to ‘go’ and tip it on the compost? After approximately 6-9 months your finished compost will be ready. Finished compost is a dark brown, almost black soil-like layer that you’ll find at the bottom of your bin. It has a spongy texture and is rich in nutrients. Spreading the finished compost into your beds greatly improves soil quality by helping it retain moisture and suppressing weeds. For more information check out the Community Composting Network site. There are many suppliers of wormeries, different designs and prices – you can even make your own. Find out more at http://www.wigglywigglers.co.uk.